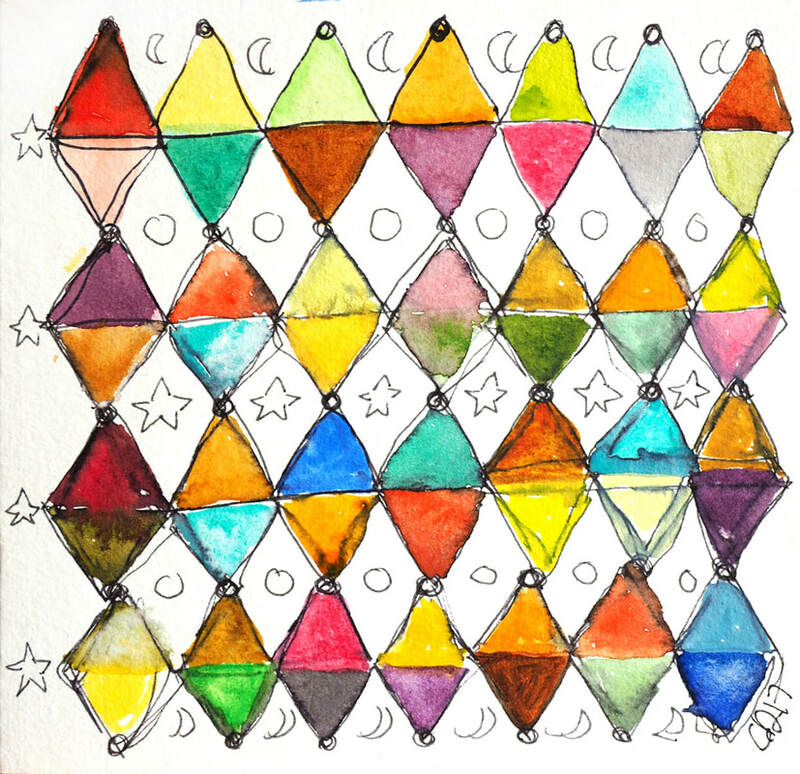 This 6" x 6" original watercolour and ink painting is a parade of diamonds in different hues and coloured complements. I love the feeling of this abstract geometric patterning, there is just something so pleasing about it. Done on heavy weight watercolour paper.